Florence Nightingale David's father was William Richard David (born in Pullandraes, Tondu, Glamorganshire, Wales in about 1884) who was an Elementary School head teacher. Her mother was Florence Maude David (born in Wolverhampton, Staffordshire, England in about 1882) who was also an Elementary School head teacher. Florence Nightingale David was given the names 'Florence Nightingale' by her parents because they were friends of Florence Nightingale. In fact Florence Nightingale died a year after Florence Nightingale David was born. In 1929 Florence entered Bedford College for Women with the intention of becoming an actuary. She graduated in 1931 with a mathematics degree but when she applied to a London insurance firm for an actuarial job she was turned down. Although she was the most highly qualified of the applicants for the post, the firm were not prepared to employ a woman as an actuary. At this point her father encouraged her, saying that she would meet discrimination throughout her life and she would just have to persevere. She went to see Karl Pearson to ask his advice about obtaining an actuarial position. I would sit next to Churchill Eisenhart and Sam Wilks, who were visiting, and I'd say "Ask him! Ask him!" Maybe it's a good thing to have a bad lecturer. After Fisher's lecture I would go spend about three hours in the library to try to understand what he was up to. After Pearson had arranged for the research assistant position to be extended, David was offered an assistant lectureship in statistics at University College London following Pearson's retirement in 1935. She accepted the post and taught there while continuing to undertake research in statistics. It was Neyman who insisted that she complete a doctorate. In 1938 she was awarded a Ph.D. in statistics and continued to teach at University College until the outbreak of World War II in 1939. ... during the Second World War she studied air-raid bombing patterns to determine the locations of German launching silos. Since the Germans moved their silos from week to week, she had little success in this and described the war as having wasted six years of her life. When the war ended David returned to University College London to resume her lecturing post, now as a lecturer. She was promoted to a readership on the strength of her achievements in research in statistics and then in 1962 she was promoted to Professor of Statistics. Before this she supervised John G Saw's doctoral thesis on Estimating and Testing Techniques with Ordered Variables Applied to Censored Samples. His degree was awarded in 1959. David remained at University College London until 1967. During this period she received many honours. 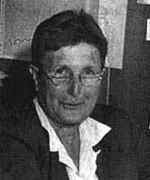 In particular she was elected a Fellow of the Institute of Mathematical Statistics, a Fellow of the American Statistical Association in 1954, and a Member of the International Statistical Institute. She served on the University Senate of University College, and was also a Governor of Bedford College for Women. David was appointed as a visiting professor and research statistician at the Department of Statistics and Applied Climatology and Forestry Division at the University of California, Berkeley. David's years at Riverside were tumultuous ones, in which she had to struggle to develop the new Statistics Department according to her vision. She had to fight both the mathematicians and all of the other departments that wanted to house their own statisticians. [T]he mathematicians tried to swallow me. I fought them on the senate floor and all over the place ... I was a Professor of Economics, in all I had five different titles. They were all trying to get a statistical monopoly. It is worth noting that she served as the Review Editor for Biometrics from 1972 to 1976. After holding the Chair of Statistics at Riverside for seven years, during which time she returned to her home in Kensington every weekend, she retired in 1977 and became Professor Emeritus and Research Associate in Biostatistics at the University of California at Berkeley. She continued to work as a consultant with the United States Forestry Service. ... efforts in opening the door to women in statistics; for contributions to the profession over many years, for contributions to education, science and public service; for research contributions to combinatorics, statistical methods, applications and understanding history; and her spirit as a lecturer and as a role model. ... female statistician who serves as role models to women through her contributions to the profession through excellence in research, leadership of multidisciplinary collaborative groups, statistics education, or service to the professional societies. Let us look at a few examples of David's contributions to statistics. We can only examine a few since she wrote nine books and over 100 papers. David published Tables of the ordinates and probability integral of the distribution of the correlation coefficient in small samples in 1938. In the following year she published On Neyman's "smooth" test for goodness of fit in Biometrika . This paper throws light on what constitutes a large sample for Neyman's criterion of smoothness of fit of order k. After she returned to University College after World War II she published A power function for tests of randomness in a sequence of alternatives and A c2'smooth' test for goodness of fit which both appeared in Biometrika in 1947. The first investigates the behaviour of the nonparametric test for randomness based on the number of alternations of an event and its complement in a series of trials. In the second David examines the signs of the deviations from expected numbers to see whether they change sufficiently often. The author is obviously very enthusiastic and devoted to her task. The examples are many, frequently original, lively, and interesting. In combinatorial chance ... the ideas are simple and easy to understand, but the manipulative procedures are discouraging in that they depend on mathematical tricks which have to be learnt. ... [David and Barton] proceed to present both the ideas and the mathematical tricks in a most enjoyable manner and with as much order and method as the subject permits. The book is written with care but without pedantry, and takes the reader from deceivingly simple problems to serious and sometimes quite involved mathematical theory. The main body of tables is preceded by an extensive introduction. The introduction presents theory, examples of the applications of the theory and explains the uses of the tables. It is written in a lucid style and is a good introduction to the subject even for a beginner. The several measurements used by ecologists to measure diversity in plant and animal populations have been summarized by E C Pielou. This present paper is concerned with an extension of the idea of diversity in plant populations and, in particular, with the description of data produced by a densitometer. Further papers applying the present ideas to actual forests counts where there is more than one observation to a cell will appear elsewhere. Those who worked with her and indeed her students at all levels will remember a woman of great generosity and charm. She had a very short fuse and could be extremely rude when she chose. Her enormous energy, prolific output and uncertain temper made her an exciting colleague to work with. F N David lived a full and ambitious life, and will long be remembered, not only for her famous cigars, but for her place in the history of statistics.